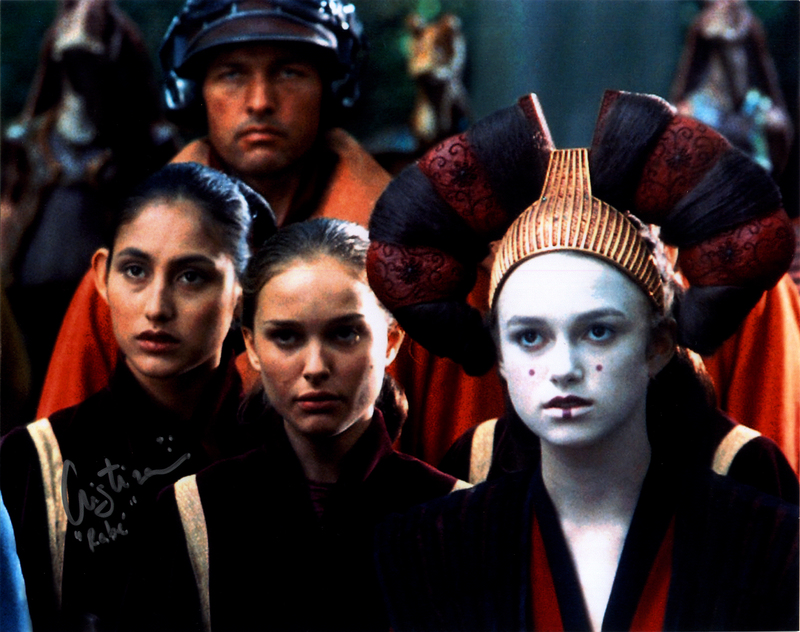 This picture from Star Wars Episode I – The Phantom Menace features Cristina da Silva as the handmaiden Rabé, Natalie Portman as Queen Amidala disguised as a handmaiden, and Keira Knightley as Sabé in disguise as the queen. If I were to have photos autographed by Portman or Knightly, this isn’t the one I would choose, but it might be the only shot with Cristina da Silva. This photograph was acquired and signed on November 29, 2009, at Collectormania London by Steve, the Ginger Prince. The photo was then given away through the SWAN forum. I won the contest in mid-December and the photo was sent across the Atlantic Ocean to me.